March showers lead to April flowers. 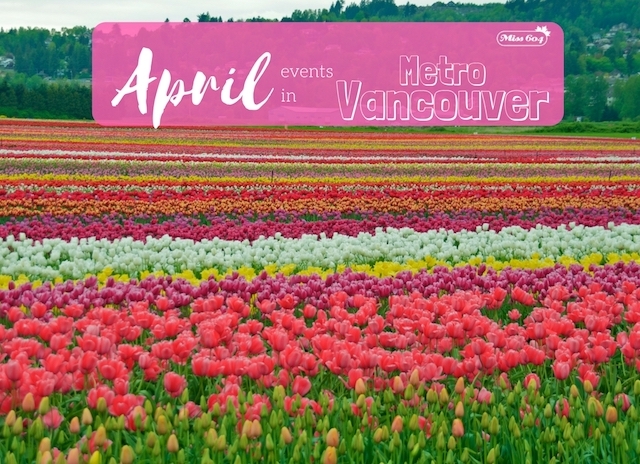 Check out Vancouver Cherry Blossom Festival events, talks and walks, along with two tulip festivals in the Fraser Valley, Easter events, Vaisakhi and more this April in Metro Vancouver. Miss604 is also proud to sponsor the Party for the Planet in Surrey on April 14th. Events that run for longer than three days in a row are highlighted in green. This list is updated often so send in your event listing anytime – for free – and check back often to plan your week. Good Noise Gala – Soul Edition!